Streamlined for simplicity, the Underscore bath exudes refined style with contemporary flair that fits with a variety of decors. A slotted overflow drain allows for a luxuriously deep bath as you relax against the comfortable sloped backrest. The classic lines of the Memoirs 6 ft. bath harmonize with the rest of the refined Memoirs Suite, drawing inspiration from traditional furniture and architectural design. This two-person bath is constructed of high-gloss acrylic for years of reliable performance. Enjoy years of comfortable bathing thanks to the durable construction and integral lumbar support. Also available in store by special order only see store for details. 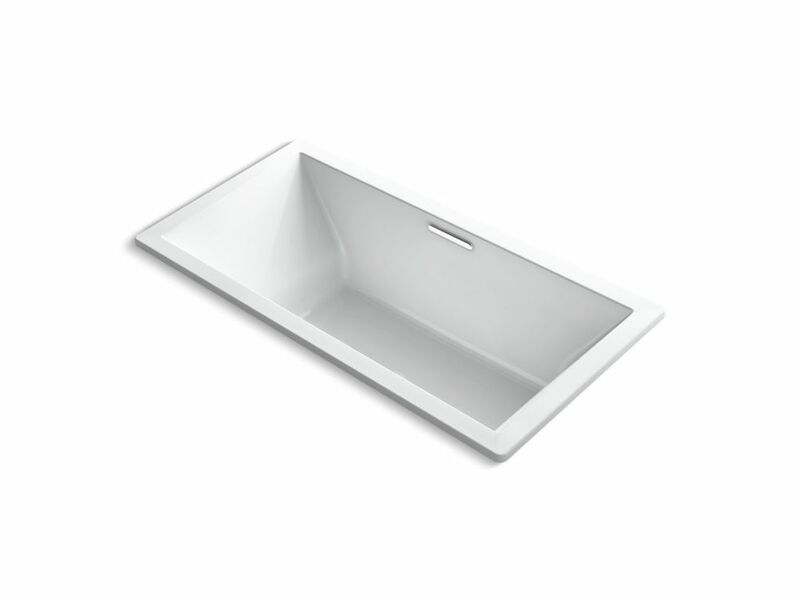 Underscore 72 inch X 36 inch Drop inch Bath with Center Drain in White Streamlined for simplicity, the Underscore bath exudes refined style with contemporary flair that fits with a variety of decors. A slotted overflow drain allows for a luxuriously deep bath as you relax against the comfortable sloped backrest. Underscore 72 inch X 36 inch Drop inch Bath with Center Drain in White is rated 5.0 out of 5 by 2.